In the arts, the desire for change bumps up against a number of challenging realities. One is that there are fewer non-white artists and organizations in traditional areas of the arts, such as classical music, and it takes time and a commitment to arts education to effect a change. Afa Sadykhly Dworkin, president and artistic director of the nonprofit Sphinx, and her husband, Aaron Dworkin, who is a MacArthur fellow who served in the Obama administration, have been working to change that for quite some time. Sphinx, headed by Ms. Dworkin as president, operates programs that reach “over 100,000 students, as well as live and broadcast audiences of over two million annually.” Last week, for example, Syracuse, which has “the highest rate of concentrated poverty among black and Hispanic communities” in the U.S., benefited by having the Sphinx Virtuosi ensemble perform at schools throughout the city and at the Red House Arts Center at Syracuse University. “In the Syracuse City School District, about 10 percent of students in kindergarten through eighth grade play instruments, and about 65 percent participate in choral ensembles. In high school, students generally choose one or the other, or participate in art classes,” according to the Syracuse New Times. Sarah Gentile, supervisor of fine arts there, has been working had to improve that, but that type of change requires funding, parental and community support. People with lower incomes and less education participate at lower rates in a huge range of activities, including not just classical music concerts and plays, but also less ‘elitist’ forms of engagement like going to the movies, dancing socially, and even attending sporting events. At a time when funding and support for arts and cultural nonprofits is on a decline, it is more important than ever to prove their importance to our representatives, communities, and leaders. With reports like these, and other arts advocacy groups like Americans for the Arts, we are evolving from a perspective of “art for art’s sake” into one of “art for business’s sake.” No longer are arts and culture something “extra”—they are an economic driver with an impact on our neighborhoods, our jobs, our employment, and, as always, our creativity. Josh Rzepka, is a twenty-eight year old trumpeter and composer who’s exemplary of what it takes to be a working performer these days and, not only is he managing his own career, but he’s recently begun consulting with other musicians on how to make their arts business work. “I have a lot of things going on right now,” Rzepka explains. “I book jazz and classical gigs, do my own composing and producing of my music, play in musicals, shows, and big bands. I also teach 30-35 students three days a week. Rzepka’s idea for doing the marketing came from seeing a lot of great musicians who he believed could be doing more with their careers, but then got discouraged because of all that’s expected of them in running their own businesses. “These days it’s more and more common for musicians to go solo because there are fewer labels out there, and those that are there expect you to absorb the bulk of the cost. So a lot of musicians are working on their own which, because of the web is more viable, but it also requires a lot of extra work. “As a musician, you need to get bookings, work with venues, and do outreach to the press on a regular basis. You need to be at the top of your game in all these areas because, for example with the guys in the press, they get 1000 releases a day. They’re all being inundated by inquiries from musicians, so you need to stand out and you need to know how to provide them with turn-key material – great copy, appealing photos, images and blurbs, and you need to know what their interests are, so they’ll pay attention to you. 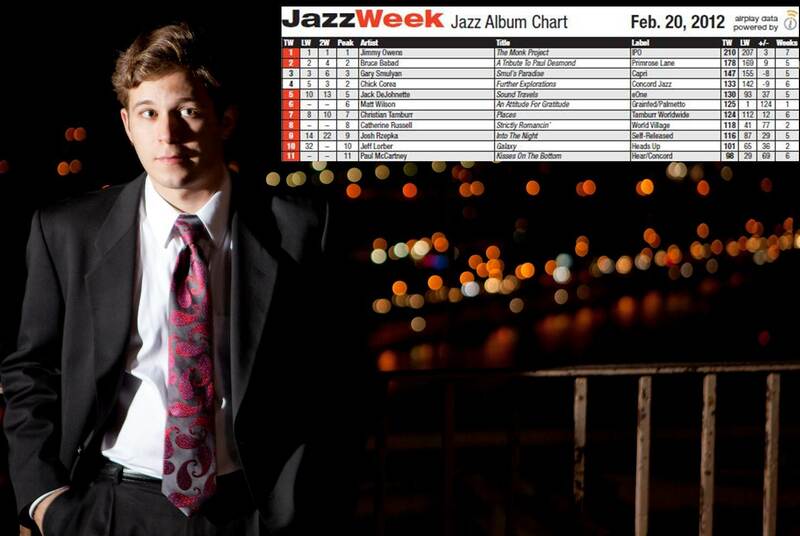 Josh Rzepka, whose most recent jazz CD, Into the Night, made it to the Top 10 on the Jazz chart, has been described as “a musician who doesn’t believe in limits” by the Tribune Chronicle, and as being “gifted” by the Cleveland Plain Dealer. He has been heralded not only for his jazz playing and composing, but also for his classical trumpet playing. With his second jazz album Into the Night, he follows up his debut classical CD, Josh Rzepka: Baroque Music for Trumpet (2010) and his critically acclaimed debut jazz CD Midwest Coast (2009). Quickly establishing himself as one of the most versatile upcoming performers in classical and jazz music, Josh has performed across the country at famed venues including Severance Hall, Boston’s Symphony Hall, Cleveland’s NightTown, the Rock and Roll Hall of Fame, and the Knitting Factory in NYC. As a soloist Josh has presented recitals and concerts ranging from the baroque, to modern, to original jazz. In 2011 Josh was recognized by the Akron Area Arts Alliance with their 2011 Arts Alive! Rising Young Star award.